Pad and Quill has a line of leather and canvas gear bags to hold your laptop and tablets, and they realized they had forgotten a gear bag for one very important item – the iPhone. The Micro Field Bag for iPhone is made of full grain leather, 18-oz waxed canvas, and stitched with thread that is used in parachutes. It’s sized to fit your iPhone, a few credit cards, and some cash. 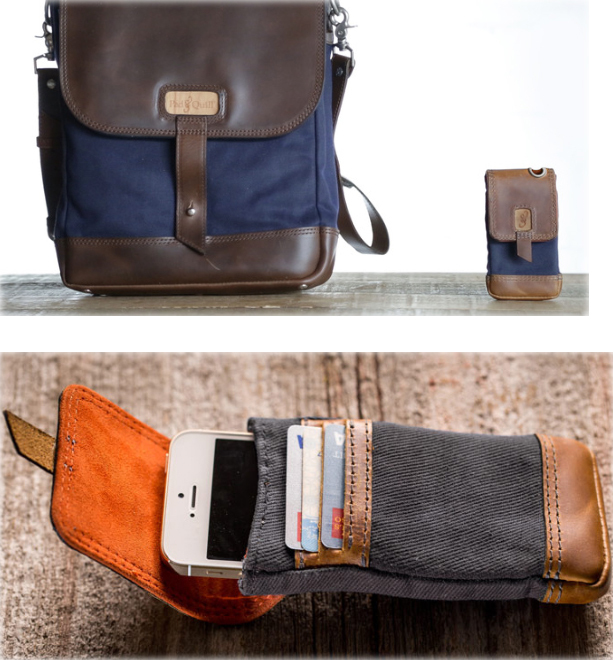 For a $70 pledge at Kickstarter, you’ll receive a Micro Field Bag for iPhone in your choice of blue, green, or gray canvas with whiskey leather. Funding continues through Wed, April 30, 2014 at 10:13pm EDT; if successful, shipping is expected in June, 2014. Micro Field Bag for iPhone originally appeared on The Gadgeteer on April 5, 2014 at 9:00 am.